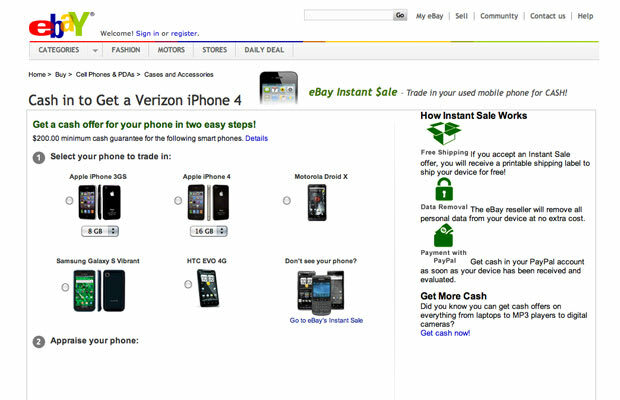 If you&apos;re looking to scrounge up some extra dough to cop a new Verizon iPhone—or a new Droid or HTC EVO—eBay can help. Everyone&apos;s favorite auction site is running a two-week promotion through its Instant Sale site that will give cash to people willing to sell their smartphones. 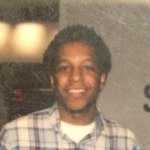 The prices vary depending on the condition of your phone, but if, say, you have a 32GB AT&T iPhone 4 that you&apos;d like to part with, you can get more than $500. Seems like more than a fair deal to us. The buy-back service is easy to use. All you do is pick which smartphone you&apos;re looking to sell, indicate its condition, and then eBay will tell you how much its willing to cough up. If you approve, eBay will provide you with shipping labels. Once it gets the phone, you get your money via a PayPal account. Better get on it.